During its visit to the Belgrade District Prison, the National Preventive Mechanism (NPM) established that the Prison continued to renovate the accommodation capacities in accordance with the announced dynamics. It renovated blocks for the accommodation of convicts from closed and semi-closed wards, as well as of female detainees. Of the 12 blocks, 7 were reconstructed and the adaptations of the remaining are planned by the end of 2020. The NPM particularly commends the fact that there are joint living rooms in the renovated detention blocks. Also, as a good practice, the Prison established the detainees reception unit, where, after their reception, the multidisciplinary assessment of the risks, conditions, characteristics, preferences and needs of detainees is done. Аcting on the recommendations of the NPM, the District Prison will, with the assistance of the Organization for Security and Co-operation in Europe (OSCE), ensure that house rules are translated into the languages of the countries from the Middle East, bearing in mind the structure of the persons deprived of liberty in this institution. 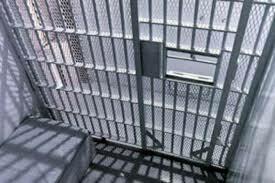 In addition, the Prison will communicate with the authorities in order to obtain the reports on the cause of death of the persons. Given that the NPM identified the shortage of members of the Security Service, the Administration for Enforcement of Penal Sanctions informed the NPM that two vacant posts in this Service will be filled and that it had requested approval for hiring more officers. In the meantime, following the recommendation of the NPM, the Inspector of the Ministry of Health during February 2018 conducted the monitoring of the work of the prison health service. The NPM visited the Belgrade District Prison on December 20, 2017, in order to monitor the acting upon previously referred recommendations by the NPM and the European Committee for the Prevention of Torture and Inhuman or Degrading Treatment or Punishment (CPT). The Report on the visit was made, in which NPM directed new recommendations to further improve the treatment of persons deprived of liberty in this institution.